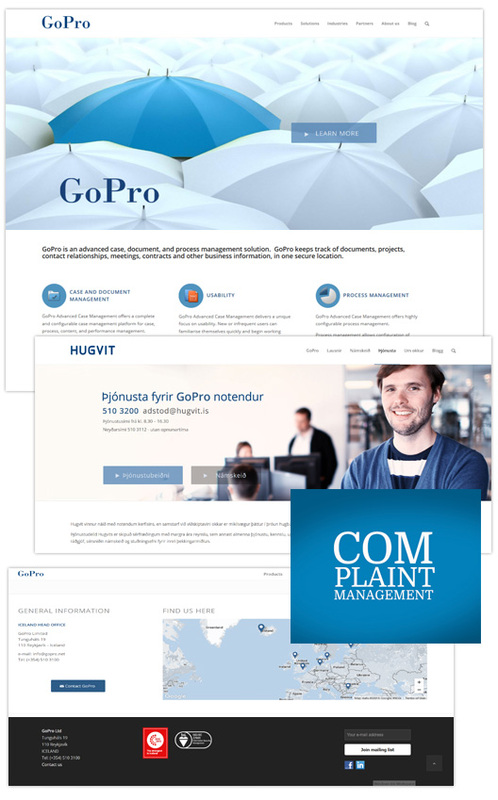 GoPro is an advanced case, document, and process management solution. This websites is a powerful tool for the marketing team and there partners to present the solution, communicate and provide services for the clients. Bjarni Sv. 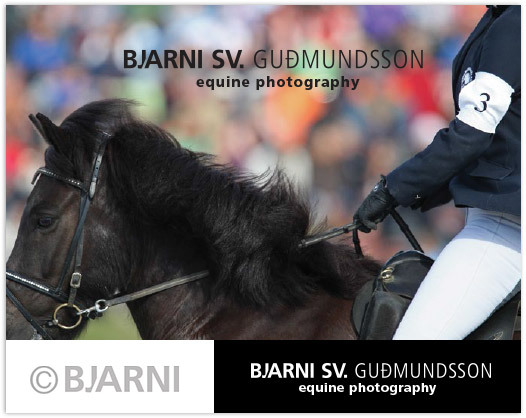 Guðmundsson is photographer that have the Icelandic Horse for main object. a graphic identity to present him self for potential clients. 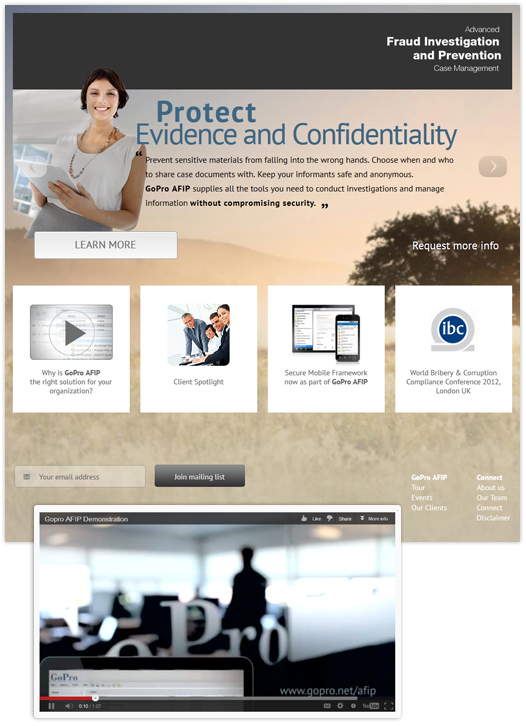 Gopro.net/AFIP is a microsite with the goal to present in elegant and comprehensive way what the GoPro AFIP solution has to offer. GoPro Advanced Fraud Investigation and Prevention is a case management solution that delivers targeted support for fighting corruption. 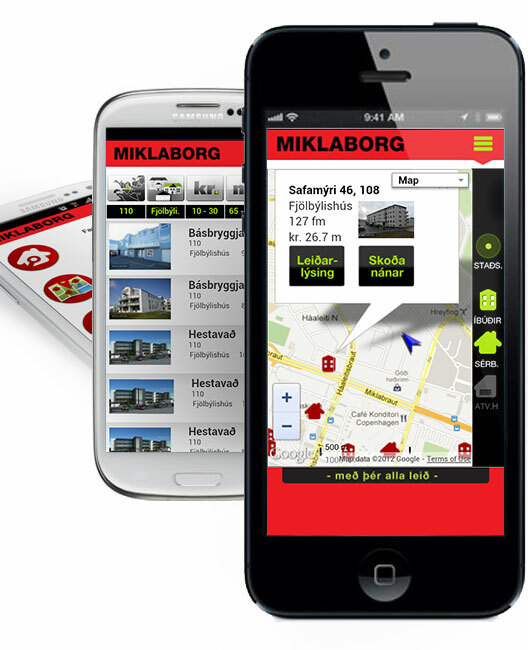 The real estate agency Miklaborg have added a mobile website to there services. Interface design and visual identity. 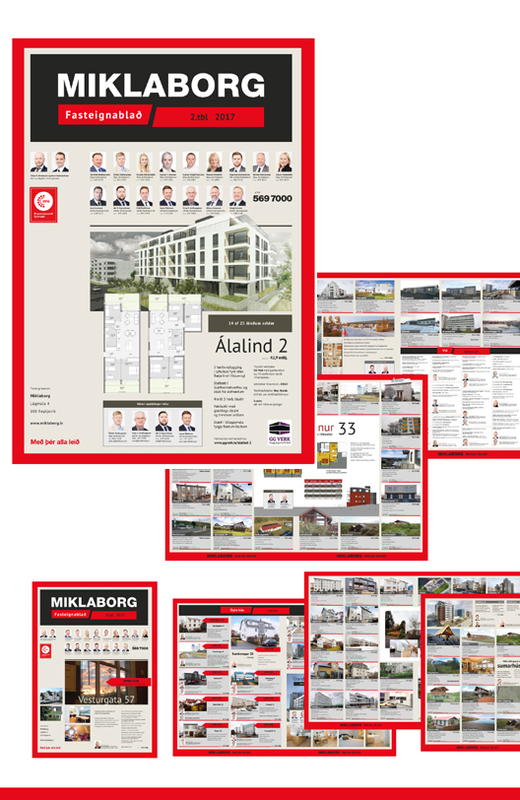 The real estate agency Miklaborg have the big ambition to become the most innovated real estate agency in Iceland. Web design and visual identity. Virtual tours, Flash design and development. By combine those two, a simple and effective solutions where found. We used the RSS feed from the Word Press to bring editable content into the front page animation. Flash design, animation and devlopement. Word Press installation and Web Design advices. Worked in collaboration with Helga Manúsdóttir Graphic Desgner. I am open minded to any exciting projects in this field, I have lot of experience of designing interfaces for websites and multimedia pojects, such as for exhibitions and presentations. I have designed and participated in designing interfaces of various web pages. Often such projects are carried out in collaboration with developers off content mangement tools or other IT companies. WordPress is a simple and inexpensive way to set up websites and I have designed several sites for the system and assist with installation. Graphic design, print and visual identity. Logo, business cards, advertisements, brochures, various other layout and etc. etc..
I’ve also worked on such projects. 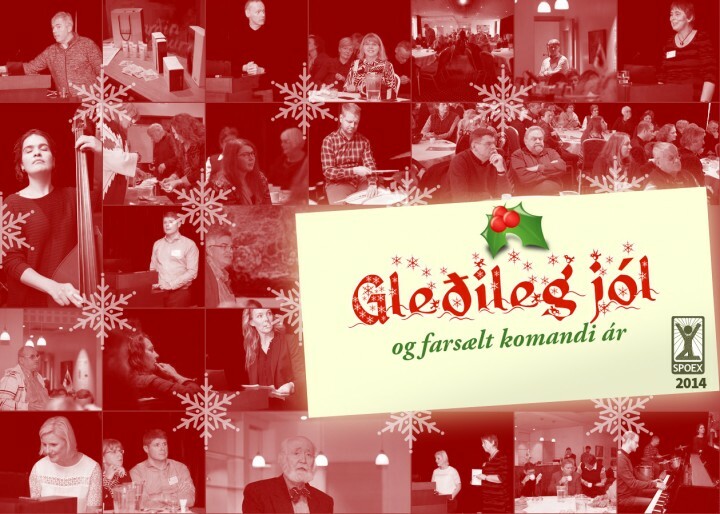 In 2010 I finished with distinction three semester studies in management and business administration in Continuing Education – University of Iceland. It was a varied program that includes introduction of Economics, Law, Accounting … but also subjects that caught my particular interest, such as Strategic Planning and Marketing. I am particularly interested in expand my experiences in this area, is open to projects where I can be assistance or advice. I graduated from Graphic Design at Iceland Academy of the Arts in 1997. I was one year ERASMUS exchange student at Academie Royale des Beaux-Arts in Liège, Belgium. After school made my way to Strasbourg in France, where I worked and was a partner in companies that specialized in the design and development of multimedia content. In 2004 I moved to Paris and was freelance for a while, moved back to Reykjavik, and worked for a multimedia company Gagarin from the years 2005 to 2008. After that, freelance on independent projects as well as studding in management and business administration in Continuing Education – University of Iceland. 2012-2016, Graphic Designer at GoPro ltd. a software development company that specializes in case management. There I work on interface design and marketing materials.